The new Canon 77D is a remarkably capable camera, matching or besting the older (and more expensive) Canon 80D in several ways. However, the 77D is still basically a souped-up “Rebel” rather than a true member of the mid-level line (like the 60D, 70D, and 80D), built on a “Rebel” chasis. Does it matter? Let’s take a look at where the cameras differ, and who will benefit from buying the 80D rather than the 77D. Before we look at anything in depth, take a quick look at how the numbers compare for these cameras. Let’s get this out of the way: the Canon 77D and 80D should give you identical image quality if you shoot RAW. As far as we can tell, the image sensors in the two cameras are identical, with the same resolution and capture characteristics. 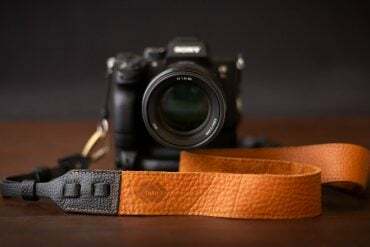 So, if you’re taking portraits or landscapes with these cameras and shooting RAW, then you shouldn’t expect your pictures to look better with one camera or the other. The new Digic 7 processor in the 77D may improve its high-ISO noise handling if you shoot JPG, however. No matter what camera you use, if you shoot JPG, then you’re throwing away 98%1 of the data that is captured by the sensor, and there may be differences in the 2% the camera decides to keep. 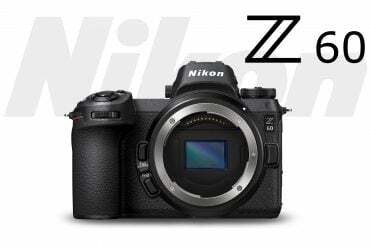 That will be dependent on your camera settings and the camera’s firmware, among other things, but it’s possible that the 77D will have a modest improvement in noise handling when shooting JPGs at high ISO. Both cameras will benefit from anti-flicker technology when shooting under rapidly flickering artificial lights (such as LEDs, some fluroescents, and some HID lights) that are commonly found in sports arenas, gyms, and stages. With anti-flicker enabled, the shutter will release exactly when the light is at its brightest, giving you the best possible exposure. The 77D’s new exposure metering system (which makes this possible) is very similar to that found in the 80D, both based on a 7560 pixel RGB+IR sensor, though the 80D uses an 18×12 zone grid while the 77D only has a 9×7, the difference will be minimal. 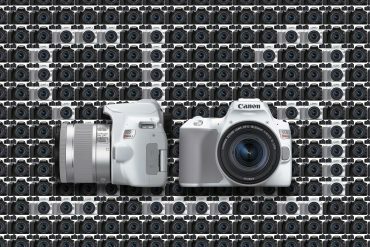 The last few generations of Canon DSLRs in the x0D and Rebel lines. Note that the 77D is actually a descendant of the “Rebel” line, not part of the x0D line. When it comes to shooting sports and action, autofocus and speed are both very important, and the 80D and the 77D are both excellent. In fact, the two cameras share the same autofocus system, both with 45 all cross-type focusing points, and both optimized for use in low-light environments2. However, the Canon 80D generally has the speed advantage, though it is not a dramatic one. First, the 80D has a higher top shutter speed: 1/8000th of a second, which is twice as fast as the 77D’s top speed, and the 80D’s top flash sync speed is slightly faster (1/250th of a second rather than 1/200th). The 80D also has a higher frame rate, shooting seven frames per second while the 77D shoots only six. More experienced photographers may also notice that the Canon 80D feels more responsive, with a shutter lag3 of approximately 0.06 seconds, although Canon claims that the 77D’s lag is only 0.07 seconds, a very minor difference. The entry level Canon T6, on the other hand, has a shutter lag of 0.12 seconds… double that of the 80D. But there are two areas in which the Canon 77D has the apparent advantage, though it’s easy to over-state their significance. The first is the camera’s buffering system, which allows the 77D to shoot full-size JPG files at top speed until your UHS-I card is full. When shooting JPGs, the 80D is limited to about 110 shots in a row before the camera will slow down to write to the SD card. How significant is this? I can’t think of a single time in my career as a photographer that I’ve shot (or wanted to shoot) more than 25 shots in a row, much less 110. Similarly, the 77D can shoot 27 RAW shots in a row before the buffer is full, while the 80D can shoot only 25. This is a relatively small difference to begin with, and it becomes less impressive when you remember that it’s the consequence of the 77D shooting those shots at a slower speed than the 80D, so it has more time to clear the buffer. Stated another way, after 3 full seconds of shooting, the 77D will have just finished its 18th shot, while the 80D will have reached its 21st shot. I suspect that most action photographers would prefer to get the shots up front. The second area is ISO, where the 77D’s top setting is 25600 and the 80D is rated at 16000. At best this is a difference of only 2/3rds of a stop, but unfortunately, this may not actually translate into better noise handling… so there may be no advantage at all. It is likely that the 77D uses the exact same sensor as the 80D, so it’s unlikely that the RAW files will really be any different; it’s more likely that the higher ISO numbers on the 77D reflect better noise processing for JPGs afforded by the new Digic 7 processor, so if you shoot RAW and do your noise reduction in your computer (where you’ll have more options and more powerful processing), this advantage is not very important. However, until RAW files are available from a production Canon 77D, this is just speculation, and we should assume that the new camera may have a slight advantage here. The 77D and 80D both have a camera-top LCD display, although they don’t display exactly the same information. For the past year, the Canon 80D has been among the best SLRs available for shooting video, primarily because of its excellent dual-pixel AF system. 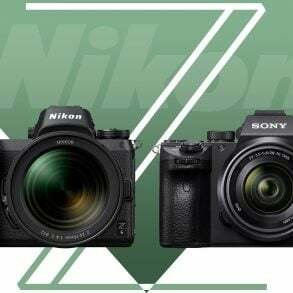 Now that the T7i and 77D have also been given dual-pixel AF sensors, their performance should at least match that of the 80D. In fact, Canon has also implemented 5-axis electronic image stabilization for video (with a slight sensor crop) in the T7i and 77D, giving them a leg up. However, the Canon 80D can shoot with either IPB (interframe) .MP4 compression or All-I (intraframe) .MOV which produces a much larger file size. The 77D, on the other hand, can only shoot video as IPB MP44. Most casual video shooters prefer IPB MP4 files because the files are so much smaller than All-I. For example, at 30fps, IPB files take up about 216 MB of space per minute, while All-I shot on the 80D takes up 654MB per minute: All-I will use up three times more disk space than IPB. Beyond the recording formats, both cameras can shoot the same frame rates, though the 80D can only shoot All-I up to 30 fps, and the 77D can shoot 720p at 30fps (the 80D can’t). They both shoot 60fps 1080p with IPB compression. It’s also worth mentioning that the 77D does not have a headphone jack. Unlike the T7i, the 77D has most of the body features that have long been standard with the 80D and other mid-lineup cameras. Among the most important of these are the camera-top LCD display and the rear body thumb-wheel. The 80D’s “movie mode” switch is located on the “record” button, while the 77D has moved it to the camera’s main on/off switch, but the 77D does have its own dedicated wi-fi connection button. Compared with the Rebel series, the differences between the 77D and the 80D on the back of the body are very minor. Importantly, they both have a thumb wheel for quick exposure compensation. However, the 77D still has a smaller body. This can be an advantage for those who wish to travel light, as the 77D body weighs abot 25% less than the 80D, and the body is also smaller (8mm narrower, 6mm shorter). This also means that the battery compartment (and thus, the battery) is smaller, and instead of using an LP-E6 battery, it uses an LP-E17 battery and has only about 62% the battery life of the 80D. Conclusion: Which Should You Buy? if you expect to shoot a lot of hand-held video and it doesn’t need to be All-I, get the 77D. It has digital stabilization. if you shoot JPG and shoot lots of long bursts of photos (more than 100 shots per minute), get the 77D. It can shoot JPGs at full speed until your card is full. you shoot action and need the fastest shutter speeds, the 80D offers speeds between 1/4000 and 1/8000th sec. 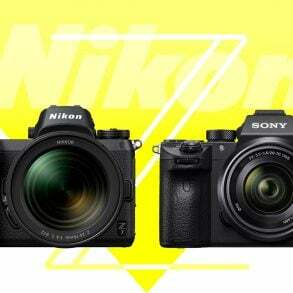 These are surprisingly similar cameras, and they’ll both allow you to create amazing photos and videos. As usual, I’m happy to answer any questions that you may have below in the comment section. Still need some advice about which camera to buy for your particular needs? Let me know, and I’ll do what I can to give you a recommendation. I’ve read your article and all I can say is it is very helpful. I’ve made up my mind and will purchase the canon 80D, but I want your expert opinion, if you’re given the chance to choose between the two which one? And which one is worth keeping? and also i have my canon m6 so travel vlogging is not that a problem (because i love travel photography too). Do you think 80D is worth as an investment? thanks in advance for your advice. God Bless you. Between the 80D and 77D, I’d choose the 80D for my own purposes, but I know what features I’d need and use… and everyone’s needs are different :-) For some people, the Canon 6D (which is the same price as the 80D) would be a good choice, too. I’m upgrading from my T2i after about 8 years of use! I do mainly lifestyle and documentary family and need something with much better iso range and low light performance for shooting in clients’ homes (always RAW). Budget is definitely important, as I’m looking to also add a new prime lens (Sigma 20mm 1.4 ART), but I want something that leans toward professional build quality (workout spending thousands right now). I’d be appreciative of your advice! If low light is important to you (I suppose it is to all of us to some extent, but if it’s the reason you’re thinking about a new camera…) then you probably should consider going to a full-frame. The difference in low-light performance since the T2i to current sensors is disappointingly small. Newer cameras do a better job with in-camera noise reduction for JPGs, but you’ll still deal with similar noise in your RAW files. If you’d like to stick with Canon, then the full-frame Canon 6D is only $999 these days, and the newer 6D Mark II is only a few hundred dollars more. And you’ll be able to make the most of those beautiful primes. The difference between full-frame and APS-C is a nice, big jump. Otherwise, you might consider a used Canon 5D Mark III (I’ll be selling one, soon). They’re excellent all around with great image quality and build, as you probably know. However, if you are still thinking APS-C, then I’d go with the 77D rather than the 80D… it doesn’t sound like you’d gain anything by paying for the extra features of the 80D. However, if you find a good deal on an 80D and it’s less than the newer 77D, go for it… it is the better camera. Thank you for taking the time to reply and for your honest advice. After doing more research and weighing my options, I ended up going with the 6D mark ii. I found a good deal on a refurb through Canon and went for it. Very excited to finally be working with a full frame model! Sounds like a great choice. Hope you enjoy using it! Great article and I’ve read through some of your replies to others. I’m looking to update my DSLR as I’m using quite an old hand-me-down from a friend. I mainly capture people and working towards photographing events. Do you think the 77D would be a good match for this? I am currently in the market for my first DSLR camera. I currently have an old standard compact camera probably 8 years old. I know your advice is: buy the least expensive camera that will meet your needs, and buy the best lenses you can afford. I would most likely use this camera for landscape and wildlife, possible sports and time lapse in the future. I have tried to research different cameras and think either the 77d or 80d would be a good start (roughly my price range) but would like some expert advice if something a bit cheaper would be more beneficially. The 80D is ultimately the better camera… but not by very much. If you’re shooting sports and wildlife, the higher shutter speeds and faster drive speeds may be a benefit, and the general responsiveness of the camera may also be a benefit. Also worth considering, though, is the Nikon D7200… it’s also nice and fast with a good buffer, and its sensor is excellent, and since it’s a model old, the price is pretty reasonable. Good luck! I have tried looking at some of the upcoming deals for next week and noticed the canon 6D could be under 1000 but the 80D would still be better for sports and wildlife? Would it be worth it? Also how does the D7200 compare to the 80D or for the matter the D5600 (I’m assuming a lot better). Lastly would you recommend a certified refurbished model if possible? Sorry for the numerous questions. I would be thankful if you consider my question. Much appreciated sir. I’m upgrading from my canon eos 1500D. That’s a tricky question. In general, the 80D is a slightly better camera, particularly for speed-related needs (sports and street included). However, the lenses are really more important, here… if you’re happy with the type of performance that you’re getting from your two prime lenses, then go with the 80D. If you need the extra reach of the 18-135, then there’s really no substitute for having the right lens… go with the 77D. 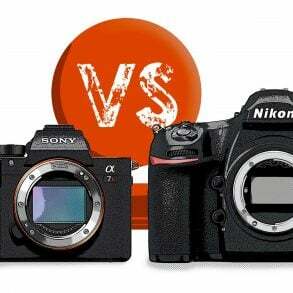 Both cameras are similar enough and good enough that you safely make the decision on that basis. Good luck! I am shasank having rebel t6, 24mmf2.8 and 50mm1.8. i am getting 77d secondhnd in very less price, so i would like to know whould i go for it. Most of the times i feel i dont get the correct focus nd sharp images. I mean not too sharp to have poster printed. So what would u suggest ?? The 77D is a great camera, I think you’ll be happy with it. The 85mm f/1.8 is a good option as a portrait lens, but keep in mind that it will convert to a 135mm lens on the 77D or T6, so it will not be good for taking pictures from close to your subject… you’ll generally want to be a 3 meters away or more, unless you want a very tight portrait. The reason I bought the Canon 80d is because I own a Tamron Sp 150 600 mm and I was taking pictures with a Sony A 7 R II along with the MC 11 adapter which makes the af very slow. I hope that my Canon will overcome that because is coming to Best Buy by Saturday. I decline to buy the Canon 7d Mark II because of the price and I hope that I made the right decision because my hobby is bird photography. I also own a Sony (A7RIII in my case), and the autofocus is lamentably slow with the adapter and the Sigma 150-600, though I haven’t tested the Tamron lens on the Sony. However, I can report that the Sigma lens is much faster on my Canon (5D Mark III and older 60D are both fast), and when I have played with the Tamron lens on Canon, it has also been much faster. I am in the same situation as some of the friends posted below. I had canon 650D, decided to upgraded to 77D or 80D. My main use would be macro shots, portraits, landscapes and group pictures (parties). And I prefer to use single lens rather than switching lenses between 18-55mm & 75-300mm Canon which I had with 650D. I thought sigma 18-300 or 18-250mm would be appropriate…What would be your suggestion. For the types of photography that you mention, the 77D will give you equally good image quality as the 80D, so you can safely buy whichever one is less expensive. The 80D is still a better camera for some things (sports and action, primarily), so if you find it for a better price, go ahead and get it. An all-in-one style lens like an 18-200 or the Tamron 18-400 will give you a lot of convenience, but you get the convenience at the cost of image quality; these lenses will not be as sharp, they’ll have more distortion (usually correctable in Photoshop/Lightroom), more color-fringing, and poorer performance in low light. The more zoom range that the engineers try to pack into a single lens, the harder it is to get good quality at any part of the zoom range. It’s completely up to you whether you think the convenience is worth the loss in image quality. For me, the entire reason that I use a big, expensive camera is so that I can get the best image quality, so using a lens like this defeats the purpose, so I won’t use them. The lens that I recommend is the 18-135mm USM or the older STM version, which has good image quality throughout the zoom range. 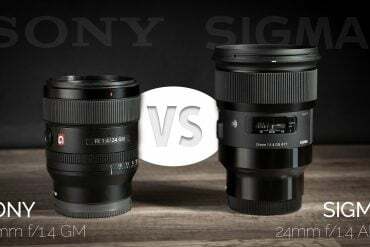 I have gone through some lens comparison websites with the pictures taken by both Canon and Sigma, and came to know the quality is lacking in Sigma compare with Canon lens. Just one more think to clear, The place where I am living have many things that cant reach closer to take shots, So I love to take them by Zoom lens. So What could be better option? 77D with 18-135 USM? Will 18-135USM compensate 75-300mm? Good, I think that the 77D is a good choice. With Sigma lenses, it really depends on what lens you’re looking at. Some Sigma lenses (especially the ART series lenses) are actually better than the Canons, but they’re often large and heavy. I have videos comparing a few of the Sigma ART series lenses… you might want to take a look sometime. If you want a lens that can reach 300 or 400mm, then the best thing to do is get a lens that doesn’t cover as much zoom range, but will cover that range at a higher quality. The new Canon 70-300 USM II is better than the old one, and is a good option, and the Tamron version is also good (sharper than the old Canon, about the same as the new Canon). If you want a little more reach, then something like the Tamron 100-400 is really nice, too. I wrote a quick review of that lens, here. These lenses will be better quality than your 75-300, but they won’t be as convenient as just having a single lens on your camera. It’s a trade-off. Thank you so much once again for the guidance on lens. Just wanted to clear some doubts from your above message. (Your message: The new Canon 70-300 USM II is better than the old one, and is a good option, and the Tamron version is also good, sharper than the old Canon, about the same as the new Canon). My question : The Tamron lens you have mentioned above is what range lens? 70-300mm? Could you mention that Tamron lens model name please. My question: I think the link you have mentioned here is not related to Tamron but comparison of Sigma 100-400 & 150-600. Could you please make it sure about which lens were about to mention, Sigma or Tamron? Oh my. Yes, I accidentally wrote “Tamron” when I meant “Sigma” about the 100-400, although both companies have similar lenses there, and they’re both quite good, so I should have mentioned both anyway. The other Tamron that I was talking about is the 70-300 Di VC USD. It’s very sharp, and not terribly expensive, although the autofocus is probably not quite as fast as the new Canon USM version. So I have got 77D as I have mentioned earlier with 18-135 USM lens. But Still I am hanging on choosing Zoom lens and also about 50mm lens, As I have read many articles about 50mm lens I became addicted to it….So do I need 50mm lens F/1.8 though I have 18-135USM? And about Zoom lens, As I have 18-135mm, is it worth/appropriate to buy an 75-300mm lens? First, the 50mm f/1.8 will allow significantly more light to pass through when you’re shooting in low-light situations. When you’re shooting with the 18-135 at 50mm, the widest aperture that will be available to you is f/5 . That’s a dramatic difference from the 50mm f/1.8. The 50mm f/1.8 will let in 8 times more light (3 f-stops). So, if you can only get 1/60th second at f/5, you’ll be able use 1/500th second at f/1.8. Second, the 50mm f/1.8 will give you much shallower depth of field (ie, the background will be much more blurry when your subject is in sharp focus) at f/1.8. This is often desirable when you’re shooting portraits… it makes the background less distracting and it provides separation between your background and your subject. The blurriness of the background is often called “bokeh” (a Japanese term). So, if you really like 50mm lenses, then yes… you should get something like a Canon 50mm f/1.8 STM, or if you have money to spend, the Sigma 50mm f/1.4 (lets in 2/3stop more light, and is super sharp). As a professional photographer, I usually carry a 24-70 and 70-200mm f/2.8 zoom lenses; I rarely carry anything longer than 200mm. On your camera, the 135mm end of your zoom with the crop factor of 1.6 is equivalent to a 216mm lens. So, in general, I’d say that you could probably do most things with just that lens (in terms of reach). However, if you’re shooting sports or wildlife, then extra reach is always nice. If you have the 75-300, then you can keep using it. If you want something better, the Tamron 70-300mm($450) is really nice and sharp. The Canon 70-300 USM II is not quite as sharp and is more expensive, but is slightly faster focusing (the Canon 55-250 STM lens has better image quality). If you want even more reach, then Tamron makes a 100-400mm lens ($799), and Sigma makes a 100-400mm lens ($699), and they’re both excellent. Canon makes nice lenses in this range, too, but they’re seriously expensive ($2000). I prefer the Tamron because it allows for an optional tripod foot for the lens, but that’s not a major issue. Sorry I can’t narrow it down more for you… you’ll have to choose according to your budget and your needs :-) Good luck! You are guding me amazingly and I am very clear about what lens I should have. About 50mm lens I am very clear and going to buy it for sure. About zoom lens, as you have said its about the budget we can afford to buy one, So I will go with 75-300 Tamron which is closer to my budget. Thank you soooo much again for your wonderful guidance and support. I am really happy and satisfied with your quick responses and suggestions. Glad I could help :-) And now you know where to find me. I’m in the proces of upgrading på Canon 100D, which has been a reliable companion during my travels around the world. I’m torn between the 77D and the 80D with the 18-135mm IS USM lens and I would really like your opinion on which one to go for. The weight and size is (kinda) an important aspect since I’m physically small, but I noticed in the comments that the difference between the cameras isn’t much more than 200g. I’ve enjoyed shooting with my Canon 50mm f1.8 prime lens (also very light weight), but I have been missing a wider angle at times (due to the half-frame camera), and I have therefore also considered purchasing a Sigma 35mm f1.4 as well. But would that be a waste of money compared to getting the 18-135mm IS USM along with either the 77D or 80D, and which one would you then go for? You’ve already seen my general advice: buy the least expensive camera that meets your needs, and buy the best lenses you can afford. So, the question is: what do you need that the 80D provides that the 77D doesn’t? If you shoot a lot of action, then maybe the 80D’s extra speed will be helpful for you, but otherwise, there’s not a lot to tip the scale in its favor. So, I’d stick with the 77D. The Sigma 35f/1.4 is a wonderful lens; I love the image quality and the low-light performance, although it does not have image stabilization. You might want to check out my videos comparing the 35mm lenses (Canon f/2, Sigma 35 art, Tamron 35 f/1.8 VC), the image stabilization can make a big difference. In any case, the 35mm f/1.4 is a nice lens, but it’s not really very wide on an APS-C camera, as you may know… it’s about the same as shooting with a 50mm “normal” lens on a full-frame camera. As long as you know that and won’t be disappointed with how wide it is, then that’s no problem… but don’t get it thinking that it will be a wide angle lens. I’m also a big fan of the 18-135 lenses (the recent USM and the older STM). They’re excellent walk-around, general shooting lenses, though they won’t give you the image quality that the Sigma prime does. Unfortunately, this is a choice that I can’t help you with: it depends completely on how you like to shoot. 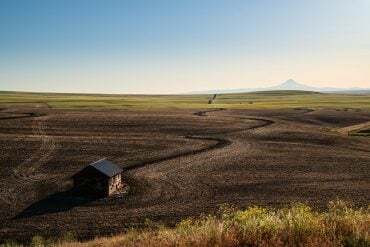 If I were traveling, I’d prefer to have the flexibility of the 18-135, but many photographers go on a trip with ONLY a 35mm lens, and they believe that being familiar with one focal length helps them compose the best shots with their lens. This is an artistic choice, and there’s no wrong answer. Neither is a waste of money, as long as you’re getting the effect you’re trying to achieve. Another lens that you might consider, though, is the Sigma 18-35mm f/1.8 ART. It has excellent image quality… many people say it’s like shooting with a collection of prime lenses rather than a zoom. It also gives you more flexibility than a 35mm f/1.4, although it doesn’t quite provide as much light (2/3rds of an f-stop less). You’d get the true wide angle end of a zoom lens, similar image quality to the Sigmas 35mm ART, and similar low-light performance, though it will add some weight to your kit. The Sigma 35mm f/1.4 ART is also heavy, though. Thank you for this great article. I think want to upgrade my Rebel T2i to either the 77D or the 80D. I volunteer as the parent photographer for my sons football team. My pictures are ok, they make the kids and other parents happy! I have to take about 900 a game to get 80 or so good shots. I also love to take photos of my family and scenery when we are able to travel. I think I want the 80D for the shutter speed, but my son only has 2 more years of high school and then I will only need it for family gatherings and trips. So is it worth it, or will I be happy with the upgrade to the 77D?! That’a a tricky question. If you’re photographing football outdoors at night under the lights, the most important thing is to have a lens that can let in plenty of light… the camera is less important. Without a good lens, any camera will perform about the same. So, if you don’t already have a good f/2.8 Lens, I’d stick with the same camera and get the lens instead. If you do already have one, and your most frequent problem is with autofocus, then getting either the 77D or 80D will be great. They both have a solid AF system, and although the 80D might be a little better in terms of frame rate, it’s really unlikely that you’ll be able to use 1/8000th second when shooting football in the evening, even with an f/2.8 lens. So, so I’d opt for the 77D. If you don’t have an f/2.8 lens, then I’d recommend a 70-200 f/2.8. Probably the best value right now is the Tamron 70-200 f/2.8 G2, but the first generation will save you a little money and is also a great lens. Any of the Canon 70-200 f/2.8L lenses (IS, IS II, or non-IS) are great too… and will give you the best AF performance, if you can find one at a good price (refurbished or used). I am looking to buy my first DSLR and have narrowed it down to the 77D & 80D. 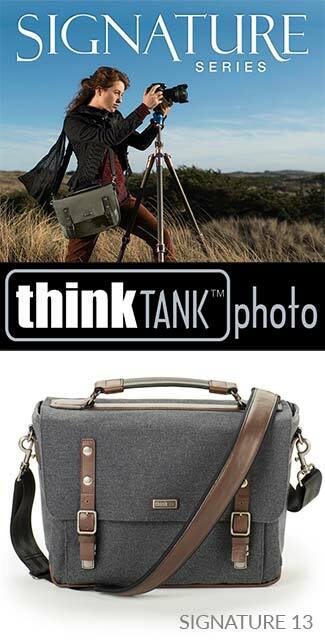 I would buy it with a 18-135 lens and use it for travel and landscape photography, and maybe some video. Is the 77D significantly lighter and more compact than the 80D, or is it not a big difference. Also, how important is the weather proofing? Could you still use the 77D in light rain? What about the lens, from what I understand it’s not weather sealed? Is the beginner menu useful? Looking at the prices it seems I can get either a new 77D or a manufacturer refurbished 80D for the same price. Which one would you get? Also, is it maybe worth waiting for the 90D? The 77D is significantly smaller and lighter than the 80D, but not dramatically smaller and lighter. You’ll notice the difference in your hand immediately, and you’ll probably feel the difference in your backpack, but the 80D won’t bog you down (the difference is about 200g, which is about the weight of a roll of nickels, or 3 “C” size alkaline batteries). I certainly would not use the 77D in light rain, and the lens is not weatherproof, so I also wouldn’t use the 80D in light rain with that lens. If you’re concerned about the weather, though, you can always buy a cheap rain jacket for your camera, or a more expensive one. I use these all the time, even though my camera is sealed… weather sealed or not, the warranty doesn’t cover water damage. I find that it’s easier to study the camera for an afternoon and learn the basics of photography than it is to try to figure things out from the back of the camera while shooting, so I don’t find the beginner’s menu helpful… but that’s a matter of personal preference. Don’t wait for a 90D unless there’s some particular feature you’re sure you’ll need that the 80D doesn’t have. Both of these will be better cameras than most people will ever get out of them. 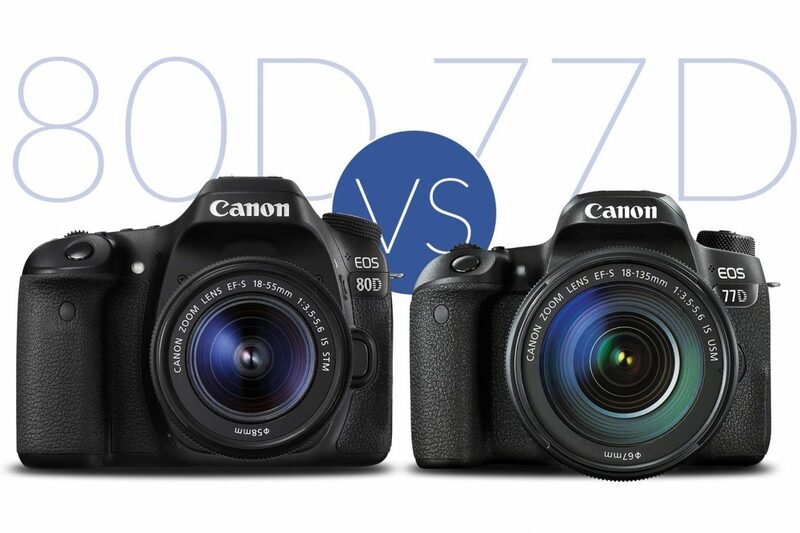 I’d get a refurbished 80D rather than a 77D, if they’re the same price, though it’s a tough call. If you’re going to do a lot of hiking, or if you have small hands, that might push the decision in favor of the lighter 77D. Good luck! You have given answers to many of the questions i have in my mind. Unless you’re making very large prints or cropping your photos heavily, you’re unlikely to see significant improvement in resolution or color by upgrading to a new camera. However, newer cameras will help you significantly when it comes to autofocus speed (though that is always limited by the lens you’re using) and autofocus accuracy. If you get the 80D or 7D, you’ll get faster frame rates and higher potential shutter speeds, along with improvements in autofocus. The 6D series are good for landscapes, but not ideal for wildlife (you’ll lose the 1.6x crop factor, autofocus, and frame rate). So, ideally, the 7D Mark II is the best option, but it’s expensive. The Canon 80D is a pretty good compromise between price and features. I am fond of wildlife photography. Presently I am using a 8 year old 7d and Sigma 150 600 C lens which I use for wildlife. I also use canon 10 18, 50mm & a walk around Tamron 18 270. I also do some video of documentaries, ad films and wildlife. I am thinking of upgrading the body, which camera do I buy, 77d or 80d or any other in the canon stable. Pl also consider the lens inventory and suggest whether I will need any other lens. Needless to say I am on a Budget. So, the question is: what is is about your 7D that you think needs improvement? My general advice is always this: buy the least expensive camera that will meet your needs, and buy the best lenses you can afford. Without knowing what you’re looking for in a new camera, it’s hard to decide between the 77D and 80D, but I’d lean towards the 80D if wildlife photography is important to you, and especially coming from the 7D. As far as you lenses are concerned, I can make two suggestions. First, even though the Tamron 18-270 is a very convenient lens, the optics are pretty average (at best) at any particular place in the zoom range. You’ll get much better image quality (higher resolution, better contrast, better color) from a lens that isn’t trying to do everything all at once. If you want a walk-around lens, I’d recommend no more zoom range than the Canon 18-135mm lenses (either the STM or the newer power-zoom model, not the original 18-135, which had poor image quality). Personally, I prefer to use a 24-70 f/2.8 and 70-200 f/2.8 on a full-frame camera, and an 17-50 or 17-55 f/2.8 on an APS-C. This will give you plenty of light, sharp optics, and a decent zoom range. The Sigma 17-50 f/2.8 is a great lens and pretty inexpensive these days, and the Tamron 70-200mm f/2.8 G2 is really excellent as well. If I had a Canon 7D, I’d skip the body upgrade and buy the Tamron lens. Thanks for the detailed review/ comparison between 77D and 80D. Am on a look out for an upgrade over my, sorta, reliable workhorse, Canon 550D, which has aged a lot and, at one instance, had some technical issue, due to which I made up my mind to upgrade. My major area of use is Macro photography, especially in the monsoon season, out in the wild, I believe 80D would be suitable as it has better weather sealing, plus I want to explore landscape photography too which, with my existing aged gear and optics, isnt capable of getting sharp details. I am not sure if weight would be an issue, due to which I prefer 80D, one major point that I had back of the mind was that 77D has an advanced Digic processor, so is it going to effect the performance over 80D, but based on your detailed review, I guess that would hardly matter. Despite this, would like to know your view between the two and also is there any other alternative to Canon 80D that might be helpful for Macros and landscapes? I have a budget constraint due to which am not looking at full frames yet. Also I have a Canon Macro lens, due to which I feel I cannot shift to any other camp? Is there any alternative brand on which I can smoothly use my Canon Macro Lens? It sounds to me like you’re on the right track with the 80D. The processors are different generations, but you’re right… the processor’s practical advantages will show in the camera’s specs (frame rate, etc), so the processor model can generally be ignored… just look at the features you care about and see how they compare. The processor can affect how the camera handles JPG images (particularly high-ISO noise reduction, though the differences are very minimal), but if you really care about image quality, you’ll shoot RAW anyway, and the processor doesn’t make a difference there. Your lens could be used with an adapter on other brands, probably, but you’d have a loss in performance: particularly autofocus, but also probably with metering and potentially some loss in image quality, depending on the quality of the adapter (by shifting optical alignment). If you were going to try it, the best option would probably be a Sony a6000 series camera (either a6300 or a6500). If you macro lens has stabilization, look at the 6300, otherwise, the 6500 (which has in-body stabilization). These cameras have excellent image quality, they’re nice and lightweight, they perform well all around, and they’re great for shooting video if you have any interest in that. They’re mirrorless, so they won’t have front or back-focus issues like SLRs can have, and you won’t have problems with vibration from mirror slap. There are several good adapters available for Canon to Sony, metabones being the most expensive, the Sigma being a good intermediate, and then there are cheap ones of dubious quality. I own the Sigma and it works well for me. I photograph maybe 60-70% indoors and 30-40% outdoors. I especially love photographing my parents’ dog, which is almost entirely black and quick to move. I would love to buy the 80D, but wonder if I should buy the 77D instead because of the indoor shooting (the dog). Or do you recommend some other model/producer instead? Despite some differences in their ISO numbers, both cameras are equally good in low light. To really get good low-light performance, you’ll want a lens with a large maximum aperture that lets in a lot of light, like an f/1.4, f/2, or f/2.8 lens (the smaller the number, the better. f/1.4 lets in twice as much light as f/2, and f/2 is twice as much light as f/2.8). Most of the kit lenses that come with cameras are f/3.5-f/5.6 (so, an 18-55mm zoom lens will be f/3.5 when shooting at 18mm, f/5.6 when shooting at 55mm). So, I’d recommend getting whichever camera makes most sense for your budget (I would lean towards the 77D), as long as it leaves you enough money left over to buy a lens with a large aperture. The best lenses will have image stabilization and a large aperture, like the Canon 35mm f/2 or Tamron 35mm f/1.8 VC. Sigma’s 18-35 f/1.8 and 50-100 f/1.8 are the best zooms for letting in the most light, but don’t have stabilization. Most lenses that let in a lot of light are expensive, though, so be prepared. I’m 20 years old and a first year student of digital media and film production. I have now decided to pruchase my first proper dslr camera and am stuck between these two. As a student, the price is obviously a big game changer and I am more interested in the video features than in the photography features. But this does not mean that I won’t be photographing (as well as filming) on different lenses and under different conditions, since I plan to travel a lot in the upcoming months. However, there does not really seem to be a noticable difference between the 77d and the 80d performance-wise. I am still doing everything non profitable and just getting started, but I hope to get my hands on some jobs such as filming weddings or smaller events in the future. I have already been producing a 10 minute short film and an advertising spot for cinemars in a group of 4, but all of these projects were mainly university related which made me able to use professional gear provided by our university. Thanks to several courses, I have already gained some good technical knowledge which still needs lots of improvement. But as my future dslr will be the first one I’ll have ever owned, I’m afraid the 80d might be too much for me to handle at the start. At the same time, I worry a lot about the video-related possibilities the 77d serves. The lack of a headphone jack is a definite drawback and I might be afraid that the 77d won’t be sufficient anymore in just one year or two as I have gained lots of new experience. But on the otherhand, if the 77d wouldn’t offer enough features for me at some point, would the 80d make a difference? However, I still plan on purchaising a more professional camera in the future as I have finished university and will begin getting more into the business. This means, I won’t be building my whole carreer on either the 77d or the 80d but I’m still looking for something rather professional to get started with. To me, the missing headphone jack on the 77d is one of the main issues since I cannot really estimate how important that will be and if I can find another way to compensate this in order to provide quality video sound. As you might be able to imagine, I’m a little afraid to be choosing the cheaper option but then taking too many losses in the long run. I’d love to hear some advice for you, since I’ve been searching the internet for weeks now and I’m sure your opinion would help me a lot! The 80D is not significantly harder to handle for a beginner than the 77D. With both cameras, you’ll need to spend an afternoon figuring out how to make your primary adjustments (aperture, ISO, shutterspeed, and file type, focus mode, etc), and then you’ll spend the next few weeks building off of that and tweaking things here and there, but really, after the first couple of weeks, they’ll both be simple and intuitive to use. So, I wouldn’t worry about getting a camera that is too much to handle… it won’t be :-) You will have to work at it a little bit at first (maybe look at the instruction manual), but I bet you’re not opposed to a little bit of work for something that is professionally important. So, the 80D does give you the headphone jack. Also, the 77D records internal video at a lower bitrate (60MB/s), compared to 90MB/s on the 80D. So, you’ll be capturing more information with the 80D, and the 80D can also shoot ALL-I format video (much larger files, but better for editing). So, if you’re serious about shooting video, I’d consider going with the 80D rather than the 77D. But I’d be remiss if I didn’t mention the elephant in the room, here: instead of Canon, you might want to go with Sony. The Sony a6500 is nice and compact, but it has stabilization built in to the body, it shoots 4K video, and has great autofocus for video. 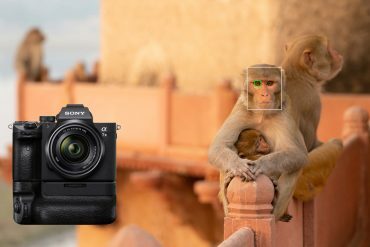 It has the same APS-C sized sensor as the Canons (actually, the Sony is slightly larger, but they’re both APS-C), it’s also a great camera for still photography with great image quality (though the lens selection is not as good as Canon for APS-C). The a6500 also has clean HDMI output so that you can use an external recorder to capture higher quality and longer videos. Just something to consider. I am in similar dilemma and still not able to make a buying decision between these two. My current setup of last 5 years is Canon 600D, Tokina 11-16 DXII F2.8, Tamron 18-270mm(use it for allround general clicks). I am more into low/no-light photography. I intend to keep using my Tokina lens but on a better body for outdoor low light photography. Which would be better choice between the two? Please help. For low light photography, there’s really no difference between the 77D and 80D; they’re both equally good. The 80D does have a couple of advantages all around (that I’ve mentioned above, so I won’t repeat them here), but they won’t make a difference in low light. So, if it were up to me, I’d go with the less expensive body of the 77D and spend the difference on some good low-light optics. The Sigma 18-35 f/1.8 comes to mind. Both cameras are great for portraits, as long as you use the right lens. You’ll get the same image quality from both of them, so the important thing is to get a high-quality lens to get the most out of the camera. 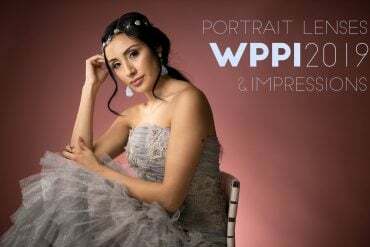 If you want to take professional portraits, then something like an 85mm f/1.8 or f/1.4L lens would be perfect, but if you’re more of a casual photographer and want to take occasional portraits, then the 18-135mm STM will do the job when you use it in the 60-135mm of the zoom range. Another good option for portraits is the 50mm lens, with both of these cameras. You can buy cheap ones (the Canon 50mm f/1.8 STM) or you can buy more expensive, super sharp ones (like the Sigma 50mm f/1.4 ART or Canon 50mm f/1.2L). All good portrait lenses :-) I’d save money and buy the less expensive camera so that you can buy the best lenses. I use Canon Kiss x5 and want to switch to a slighter newer model. I do a bit of bird photography. I use Tamron 150-600 mm lens. Mostly hand held. Please suggest whether I should buy Canon 77d or 80d. It depends on what you feel is lacking in your current camera. The 80D will give you the potential for faster shutter speeds, if you need them… but most people don’t need to go faster than 1/4000th, so I’d stick with the newer 77D in your case. Thank you so much for such an informative article. I have a dilemma which I’m hopeful that you can help me solve. I was fortunate to be able to purchase both the T7i and the 80D as part of Canon’s refurbished program with excellent holiday pricing. For all intents and purposes, the 80D is only approximately $75-100 more expensive. For the purposes of my question, you can assume that this not a significant difference to sway me one way or the other. 1) I am new to DSLR photography and have full intention and desire to grow. I have taken an introductory class and I have a bunch of Canon lenses that were recently gifted to me. Most are entry level, but they include telephoto, macro, nifty 50, and pancake. 2) I am mildly intimidated by the 80D and somewhat attracted to the Feature Assistant of the T7i. However, I am not sure how quickly I would outgrow this (having watched many photography videos) and whether this would be a significant consideration to buy an inferior camera. 3) I am truly an all-around photographer. I want to use this camera for family photos (ex: kids at the beach and kid’s sports events), family milestones (ex: birthdays), wildlife and creative shots (ex: night pics, insects), portrait shots (mostly of family), travel, and landscapes. 5) video use: general all around and possible YouTube vlogging. 6) I am attracted to the idea of learning to use the additional LCD screen. 7) I like the idea of the back rotating control button and ability to use this to adjust exposure. (e) not having additional benefits offered by Bluetooth (although I’ve used the WiFi connect and liked this very much). If you could PLEASE help allay my 5 concerns (a to e), I’d be most appreciative. As well, feel free to shed some light upon anything I may be missing. 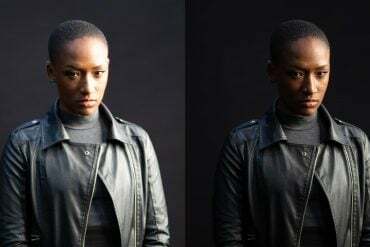 First (a & b), don’t be intimidated :-) Do what the vast majority of professional photographers do: set your camera to aperture priority mode, and just leave it there most of the time, and use the aperture to make all of your exposure adjustments, and set your ISO manually. If you’re not sure how that works, watch my 3 Basics video as a reminder (or read the article). After your first week or so with your camera with manual in hand, you’ll get all of the other settings how you like them, and you can tackle them one by one as you want to fine tune things. Mostly, they’re unimportant if you’re shooting RAW, and you should be :-) In any case, you can learn everything you need to know about camera operation in a month or two, and then you’ll be ready for learning photography and will have the right camera for the job. As for (c), that’s only digital image stabilization (which works by shooting video with a cropped portion of the sensor). It’s handy for shooting hand-held video if you don’t mind the crop and don’t have IS lenses, but otherwise, it’s not a big deal. It’s not important for photographers, only for video. And if you are serious about shooting video, the headphone jack and All-I on the 80D will probably be more important. The processor generation is only important if it gives the camera some practical advantage, and either way, you’d be crazy to try to shoot action photography with live-view, so again, that’s a potential advantage for video… but I’d be surprised if there’s a practical difference. I don’t shoot much video, so I don’t really know. (e) is a valid concern, I suppose. I don’t know what I’d use it for… but it’s a difference. It’s really intended for people who want to shoot JPG and then upload their pictures to their phones to post to social media rather than for serious photography, but I imagine that there could be some potential that isn’t coming to mind. For me, the most important factor would be the top LCD and the rear dial for exposure compensation. As a professional photojournalist, it’s almost impossible to work without it (or some other quick access dial on other brands). The top LCD is handy for quick checking settings, but I’ve gotten used to it since my first Canon EOS camera 26 years ago… but I can imagine living without it. I can’t imagine working without the rear dial. Hello Matthew. Thanks for the lovely article. 1. My current camera struggles a lot to click photos in a non-day light situation (not really low-light but indoor light or evening) leading to shaky results. My priority is still photography and not video. I am looking for help in figuring out whether 77D and 7DM2 or 80D would make any difference or feel any different with the above 3 points (especially the 1st). Would 77D be able to shoot as fast as 7DM2 or 80D and deliver non-shaky stills in low light and maintain colours? From fast I don’t mean shooting at 1/8000 SS but the amount of struggle when the light is low. Please advise. The good news is that theCanon 77D will solve these problems just as well at the 7DII or the 80D, which should help you save some money. 1. In low light, the Canon 1000D only has a top ISO of 1600, and when using 800 or 1600, the images get grainy pretty quickly and lose color fidelity. The 77D will have much better quality at ISO 1600, and you can push it all the way up to ISO 6400 before the image quality really starts getting ugly. That’s only 2 f-stops (3 from 800), but it can really help. If you’re also using your 50mm lens frequently, then there’s not a lot that a new lens can help with. However, if you’re mostly using the 18-135, then using a large aperture lens WILL help a lot. At 135mm, that lens is an f/5.6 at best… and your 50mm lets in about 8x more light (ie, 3 stops), which is the difference between shooting at 1/30th second (more likely to blur) and 1/250th second (unlikely to blur). So, to get the improvements from the improved ISO of the 77D and a large aperture, you’ll need to either shoot with your 50mm or buy a large aperture zoom lens if you want to use a zoom lens (f/2.8 or f/1.8). 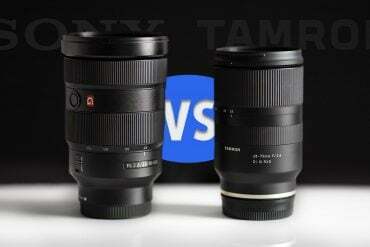 At the wide end, an inexpensive f/2.8 would be the Sigma 17-50 f/2.8 OS, or better yet, the 18-35mm f/1.8 ART (non OS). At the telephoto end, the Tamron 70-200 f/2.8 G2 is a great lens, but the Sigma 50-100 f/1.8will give you even more light (no stabilization, though). 2. Washed out photos can be caused by several things, but over-exposure and lens-flare are the most common. To reduce lens flare, don’t use a UV filter on your lens (especially not a cheap one), and ALWAYS use a lens hood. 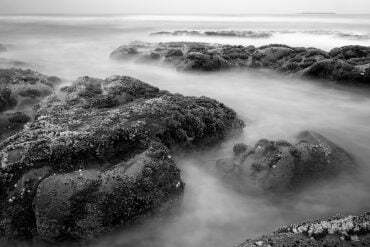 To reduce over-exposure, learn how to use your camera’s exposure compensation. The quick dial on the back of the 77D will help a lot. 3. The color rendering in your images is a factor of the lens you use, the exposure, and the camera settings. The 77D will help, especially if you choose vibrant color settings in it, and so will good lenses. Ideally, I’d recommend shooting RAW files instead of JPG, and creating a post processing preset to apply to all of them when you import them. That’s quick and easy, and you’ll get better image quality. If the 77d could compress video files using ALL I. It will be easier for me to choose between them. That’s the only feature that I miss from 80d. First, let me say that the 77D or T7i would both be great for the job. I might lean towards the T7i, to save money…. they’ll produce the same image quality and have the same general specs, but that’s up to you. I don’t really shoot much video, but the best lens will really depend on where you’re shooting and what kind of light you’ll have. If you are shooting outdoors or have plenty of artificial light (not by eye, but in photographic terms), then it doesn’t really matter… you can get whatever lens you want. If you’re like most people and will be shooting indoors and only have normal home lighting, then a lens with a large maximum aperture will really help. 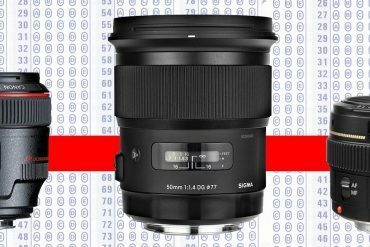 If you have plenty of money to spend, a good option would be the Sigma 18-35mm f/1.8 zoom lens, or you can pick a prime lens that will work for your space, but has a large aperture: the Canon 35mm f/2, the Canon 50mm f/1.8 STM, or if you’re in a tight space, then maybe something very wide like the Tokina 11-20 f/2.8, though it will let in less light than these others. In general, it will be less expensive to buy some good LED light panels (and maybe some umbrellas to diffuse them) and buy a less expensive lens than it will be to buy a lens that lets in lots of light. If you have plenty of light, then the T7i/77D kit lens will be good (either the 18-55 or the 18-135 STM). Hello! Great article! I have been contemplating on upgrading my canon t3i for the 77D because of the difference in the MP… Would I see a difference in my images if I upgraded?? I currently shoot family/children still photography. Thanks!! It’s possible, but most people won’t see any difference. Usually, the megapixel resolution of the sensor is not the bottleneck for image quality… even the 18 megapixel sensor has higher resolution than most lenses that you’d be using, so to get the highest resolution images, you’d need to use your best lenses, usually at f/5.6 or f/8, depending on the lens, and often you’d have to shoot from a tripod, or at least use excellent hand-held technique. For most people, 18-megapixels is more than enough. However, if you shoot from a tripod regularly, you might see a difference. And the 77D has some other improvements in the body layout and the speed of the camera, etc. You’ll get better video autofocus. To get better image quality, you’ll get a bigger difference by getting the best lenses possible, or if you’re shooting indoors or in low light, by making sure that you get lenses that are made for that sort of thing. Even a 50mm f/1.8 lens will give you a huge advantage when you’re shooting a moving subject in low light. Hi! Thanks for posting such a great article. So glad I stumbled on this blog! I currently have a 550D and I’m looking to upgrade. Can’t decide between the 77D or 80D. Of the 2 I know that the 80D is the better camera, but I’m not sure that the differences between the 2 warrant the difference in price tag (for me). I run a small blog and online store so my main use would be macro shots, portraits, product shots and potentially some video tutorials, so from that point of view I’m leaning towards to 77D. Any reason why the 80D would be a better option? Appreciate hearing your thoughts! It sounds like the Canon 77D would be perfect for you. The only potential problem that some people can run into would be with macro shooting; the 80D has focus micro-adjustment, while the 77D does not. However, since the 77D has excellent live-view autofocus, using it will solve any micro-AF adjustment problems with lenses (in fact, it will work better than micro-AF adjustments). So, if you have a lens that gives you consistent back-focus or front-focus when shooting macro, switch to shooting with live view. But that is not an issue for most people. Otherwise, it will be great for shooting video, product shots, portraits, and just about anything else you’ll need it for, short of professional sports photography. I have the same situation like Caitie, Would like to upgrade from 650D to 77D OR 80D. And main purpose would be portrait, macro, landscapes and group pictures (parties). And one more thing is I would like to go with a single lens 18-250 or 18-300 sigma. 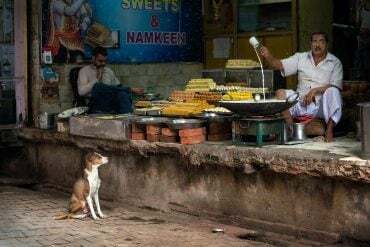 What will be your advice.? I have plans to update my camera Canon EOS 700D to next level and the problem is, that it’s so difficult to choose the right one for me. I’ve been interested in 80D, but now considering also 77D. I never shoot videos, only still and mostly macro, portraits and landscapes. I have Tamron 90mm f2.8 (old model), Tamron 28-75mm f2.8, Sigma 50-150mm f2.8 OS, canon 24mm f2.8 and the kit lens. I want to stay in APS-C. Are there so significant improvements that it would be a good idea to update my camera? I don’t want to waste my money, if I won’t get enough benefit from the update. Between the T5i/700D and the 77/80D, the difference in image quality is pretty minimal. There would be some increase in resolution, but pretty modest, and the high-ISO performance difference is minimal. With the 80D, you’d get some extra speed and better controls (I’m a huge fan of the thumb wheel on the back of the camera), micro-AF adjustment for lenses, better AF system, and better weather sealing. So, some of these things might help you take action photos, but mostly it’s not stuff that will improve image quality. I am looking for a dslr mainly for portraits. My budget is around 1500 € but it doesn’t have to be that pricy camera body either as long as it meets my needs. I would love to reach professional level portrait pictures without paying 3000 € for 5D Mark IV. I am not going to take lots of videos and 80D seems to be good for pretty much everything. Is 80D the strongest choice for my budget even I am not that much into making videos, or should I buy something else? If so, what would you recommend? When it comes to portrait photography, it’s really the lenses that are most important. The 80D isn’t going to give you any advantage in image quality over the T7i or 77D, but it will give you micro-focus adjustments for your lenses if you need it (which is sometimes important if you’re shooting with large aperture lenses for portraits, and getting the near eye in focus is so important). So, my advice would be to get the 80D as long as you’ll have enough leftover for a good portrait lens or two, or if you already have a good lens. If not, then get the 77D and a lens like the Sigma 85mm f/1.4 ART or 50mm f/1.4 ART, or if that’s going to be too expensive, then the Canon 85mm f/1.8, which is also a wonderful portrait lens. That is, of course, if you want a traditional portrait lens… I tend to shoot portraits with a 70-200mm f/2.8, which is more flexible. Thank you for the detailed comparison. I’m looking to upgrade from my 60D (my main use would be regular photography, and videos, so I want something with AF for video), and can’t make up my mind between these two. I wouldn’t mind body-only, since I have half a dozen lenses including the 18-135 already. Which of these would you recommend for a hobby-YouTuber? Thanks muchly! It sounds like the Canon 77D (body only) would be a great choice for you: its video and auto-focus capabilties are just as good as those in the 80D, and it will cost significantly less, so you can spend the difference on another lens (if you need one), or something else that will make a difference to your vlogging/photography. Of course, if you’re also frequently a sports photographer, there’s short argument to be made for getting the 80D, but it sounds like that’s not your focus. Is there anything in particular that’s making the decision difficult for you? Thanks so much for replying – looks like I’m getting the 77D! My main problem is struggling to focus while standing 3′ or so in front of the 60D. With all that button-pressing and stretching, either the tripod-and-camera or I end up toppling over, or my video turns out blurry and needs reshooting. Ideally, I want a Canon (because all my lenses are Canon) where I can go to the video mode, press the start button, move into my position, and it automatically focuses on my face, even if I move a bit. What has made the decision difficult is this: since 80D seems to be the “next higher up” version, will 77D be outdated, and replaced with an upgrade, sooner than the 80D? There’s a bit of a conflict between features-for-the-price vs the higher model. Thanks again for your quick reply and for the help! Actually, the 80D was announced by Canon back in February of 2016; the 77D is a newer model, announced in February of 2017, so it’s the newer camera. 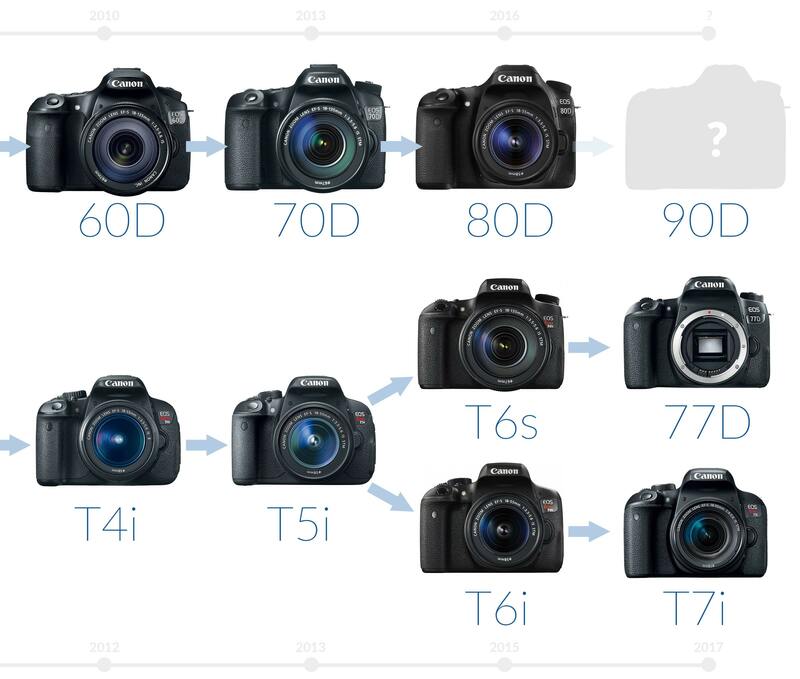 The x0D line (60D, 70D, 80D) have generally been released every 3 years over the past decade, while the T7i, T6i, and T5i have been released two years apart, and the 77D is a member of that line (it should be called the T7s). So, if that pattern holds, a 90D and an 88D will be announced at about the same time. Normally, my advice would be this: stick with the camera you have, and buy a new lens or two. My favorite lens is a 70-200mm f/2.8, so I usually start there… the Tamron 70-200 f/2.8 G2 is awesome, and much less expensive than the Canon. But you’ll have to decide based on your needs: Do you want a great portrait lens? Buy a Sigma 85mm f/1.4 ART, or a Canon 85mm f/1.8 USM, and you’ll get beautifully professional results. If you prefer working at the wide end of the zoom range, then Sigma’s 18-35mm f/1.8 ART or even a super-wide angle lens like the Canon 10-18mm . This would all increase your abilities with your current camera, or expand your options for getting different shots. So, I’ll wait to hear from you about what you feel that you want in a new camera, and then we’ll see what is left for a new lens, if anything. I sincerely appreciate you advice above. I have always wanted to have a full frame camera, and so I have been looking at Canon 6D. However, with the small budget and and need for an upgrade, I am looking at 80D. My interest is in events such as weddings, sports as well as portraits. I have saved for quite a while and I am looking forward to the December offers to purchase the camera and lenses inclusive. If you know of any recommendation for this, I will greatly appreciate. Once more, I would like to thank you for all the help you have accorded us with regards to cameras. Great article Matt. After getting to play with the 80D and 77D I ended up getting the 80D…partly because I got a refurb from Canon for $799. The only downside is I ended up th 18-55 kit lens; I had forgotten that I not only had one from when I bought my trusty 2i, but an earlier version from when bought my original rebel XT. I like how the 80D feels in hand compared to the 77D and I do like that better viewfinder. Weight is not an issue for me though I probably need to do some strength training for when hike with my 400mm attached to the 80D. How about weather resistance? Is that a major factor to consider? The 77D is not weather sealed, while the 80D does have some weather sealing. Personally, I don’t trust the weather sealing on any non-Pro camera (really, the 7D, 5D, 1D series), but the 80D will be better than nothing. Whether that is an important factor to you depends on how you shoot, and what lenses you plan on using. Most lenses are not weather sealed, and many are still more expensive than camera bodies… or at least expensive enough that you won’t want to place them at risk. If you don’t shoot out in the weather, or if you don’t have weather sealed lenses, then it’s not a big deal. I have read various articles from you and this one was the one to promt me to write. I own a canon 70d. It is weathered now so I have been studying the market for a replacement but since the introduction of the canon 80d, which is the next model up from mines I have been advised to wait for a 90d..! Canon have put out a few models since the 70d. I know I am not ready for full frame but would the 6d ii not be the next step for me? I shoot lowlight, point and shoot, concerts, and travel photos as a hobby. I also have canon 24-105 f 4L , 50mm f1.8 , 70-200mm f4L and sigma 20mm f1.8 lens. Many thanks for great articles. Over the past few years, Canon’s updates in the x0D line have been modest, and the same is true of the 6D Mark II. In fact, many people are considering the 6D II a step backwards in terms of image quality compared to the original 6D; it has less dynamic range and doesn’t handle noise as well as the 6D. It does have a better autofocus system, and frankly the difference in image quality is minimal, but if you think you can work with the features of the 6D, it might be a more cost effective option. And I think EVERYONE is ready for full frame :-) Alternately, the 5D III (if you can find a good one used or new old-stock) is still an awesome camera with an excellent AF system, as long as you don’t need AF for shooting video. But the differences between the 70D and 80D are modest. The AF system in the 80D is better in low light (-3 EV, better than the 70D’s -0.5 EV) and it has more AF points (45 vs 19), and of course, a modest increase in resolution. If you need a new camera, there’s nothing wrong with the 80D. If you can keep using your 70D, there’s nothing groundbreaking in the 80D… so I’d keep using it. In fact, my general advice is always this: buy the least expensive camera that will meet your needs, and the best lenses that you can afford. So if you can, improve your lens collection rather than buying a new body. This review of yours has helped me so much, but still… I can’t make a decision. I got Canon 650D and M3. Unfortunately M3 has disappointed me very much. I love 650D as It was my first DSLR that my father bought me on my birthday. Later I found that It’s a little bit big to go around with, so I jumped to M3 and feel like falling from the cliff. Not only slow focusing, but I think I need viewfinder in my life. So now It’s time for me to get a new camera and my choices are 77D, 80D and EOS M5. I can’t really decide which one to go with for using 2-3 years. I shoot fashion and wildlife most. I heard M5 improved a lot from M3 and also built in viewfinder. But how about the focusing? Is it fast enough to capture a bird flying in a good day light? I used the M5 pretty briefly… just played around with it for a few hours… so I can’t really give you an opinion based on a solid review. However, in my use, I was very impressed. The AF was nice and fast, though that will depend on the lens you use. With a good lens, though, it certainly seemed fast enough to focus on a flying bird. 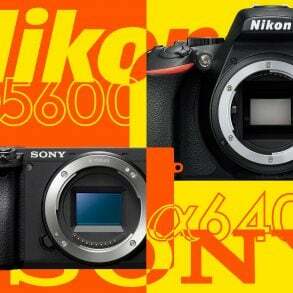 Another option would be the Sony a6000 series cameras. I’ve used them enough to be able to say that they can easily handle fast moving subjects, although selecting an AF point can be a little awkward and slow. But they’re compact, like the M5, and the image quality is wonderful. 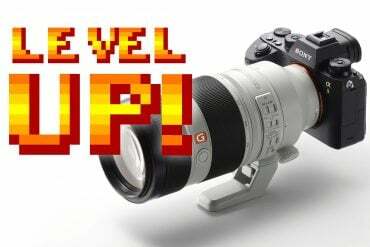 Of course, if you’re already invested in Canon lenses, or don’t like Sony’s handling, then it may not be an option. Sorry I can’t give you any better information! I’ve used the Canon EOS cameras for 28 years. Most of my photography is of family, scenery and hobby level photo shoots. I am not a trained photographer, but I do decent work and have done some professional shoots (weddings, senior pics, family photos and pet photos). On a trip abroad last year, I broke my Canon EOS 40D, came home and sent it in to get fixed, used it for a photo shoot and realized it really wasn’t the same. I needed to take some prom pics for my daughter and her friends, so I quickly ran out to get another camera body. I was talked into purchasing a 77D rather than an 80D. I did the photo shoot that afternoon and was not pleased with the focusing. I thought perhaps it was me, so I did another photo shoot yesterday, and again am not pleased with the focusing. My eyesight has gone down significantly, so I have used the autofocus rather than manual. Though I used to shoot in manual mode more than autofocus, I have never had this much difficulty. I really haven’t taken the time to look into adjusting the camera, as I have not been well, and have been rather busy. Though people have been happy with the pictures, I am not at all. I can’t seem to get the focusing right. I have thought about trying to exchange it for the 80D, but not sure if that is necessary. I am shooting with my older 28-135 lens with the stabilizer on. I did some shots with my 70-300 lens with the stabilizer on, and had the same issues. Do you have any advice for me as to any adjustments I need to make with my camera? Thank you in advance. We can probably get to the bottom of this, but let’s start here: what kind of focus problems are you having? Is the camera consistently back-focusing or front focusing? That’s the kind of thing that could be fixed by using micro-focus adjustments… which the 77D does not have, but the 80D does. In fact, it’s worth taking another step back. It sounds like you’ve been shooting for long enough that you may already know the difference, but it’s possible that you haven’t stopped to think about it yet, so I’ll ask anyway: are your images out of focus, or just blurry? As you know I’m sure you know, blur can be caused by several different things, and focus is not even the most common. Could we be looking at camera movement, subject movement, or lens problems that were not visible in the lower-resolution images from your 40D? Here’s an experiment to try to rule out some of the problems. Mount your camera on a sturdy tripod, and turn on the self-timer (the short one is fine). Take a few shots of something at a distance similar to where you’ve been having problems. Then, take a picture of your hand (just to keep the images separated, later), then switch the camera to live-view mode, focus on the same subject and take a few more photos. Then compare the two photos and see if either one is better than the other. The 77D (like most DSLRs) uses a different autofocus system to shoot live view and through the viewfinder, and the chances are slim that you have problems with both (though this was a better test when the live-view was only contrast-detection AF). Of course, the problem is that if you find that there IS a difference, there isn’t anything that you can do about it… you’ll need to return the camera or have it serviced under warranty. However, if putting the camera on a tripod fixes the problem, or if you find that neither one is sharp, then you can start to rule out that it’s a problem with the AF system. Good luck! Let me know, and we can take it from there. Oh, and your test shots on the tripod should be with image stabilization OFF on your lens or lenses! 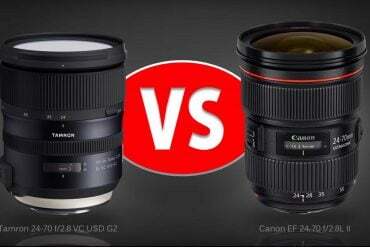 Which one is the best professional camera Canon 77D! or Canon 80D! Please let me know about it. Ultimately, the Canon 80D is still the better camera for a professional photographer (for the reasons listed above) unless they specifically need something that is lightweight. The 77D is a newer camera, though, and has some minor advantages, so it’s worth thinking about whether you’d need any of them.